According to court decisions, Michael Ryan is a manipulative, controlling military man with a violent temper. But he says those court decisions were based on his ex-wife's fabrications to avoid jail time. According to court decisions, Michael Ryan is a manipulative, controlling military man with a violent temper — a man who put a gun to his wife's head and bullied her into fearful submission. Ryan, however, said those decisions were based on nothing more than his ex-wife's fabrications to avoid jail time for trying to hire a hit man to have him killed. Their story hit the national spotlight last week when the Supreme Court of Canada ordered an extraordinary stay of proceedings in Nicole Doucet Ryan's case, while granting the Crown appeal and overturning her acquittal. But Michael Ryan is less interested in the legal technicalities and more interested in how the courts came to brand him a "violent, abusive and controlling husband" who subjected his wife to a "reign of terror." The Supreme Court — and the Nova Scotia Court of Appeal before it — based conclusions about Ryan on the findings of fact made by the trial judge, who accepted his ex-wife's testimony "without question," as the Appeal Court noted. The problem, as Ryan sees it, is that as the court considered whether Nicole Doucet Ryan was telling the truth about her husband punching holes in the walls and throwing things at her, no one asked him. He was not called to testify at Nicole Doucet Ryan's trial. He had been subpoenaed, but never interviewed by the Crown. He was on the witness list so he arrived at the courthouse on the first day of her trial, but could not sit in the courtroom due to a standard witness exclusion order. So he sat in the parking lot the whole week, he said, never far from his cellphone, waiting for the call to take the stand, to refute what his ex-wife was saying. He wanted to tell the judge that Nicole Doucet Ryan was under no duress from him, that they were living apart and he was in a new relationship. He was not the one on trial, but he wanted to defend himself and tell the court he believed his ex-wife had no valid reason for trying to hire a hit man. The Crown, he said, told him they didn't need him because the case was a "slam dunk." "She was arrested for trying to hire a hit man," Michael Ryan said the Crown told him. "She was on video, audio, excellent quality, we got her exchanging cash with the undercover RCMP officer. That's just simply illegal." But the judge accepted Nicole Doucet Ryan's story and acquitted her, and so the narrative about Michael Ryan's "reign of terror" was born, getting recycled at each new level of court without ever hearing from the man himself. Ryan said he just wants his side of the story to finally be heard. "I've been painted a monster basically just because she's trying to get herself out of hot water," he said in an interview Tuesday with The Canadian Press. "The allegations are completely false. They're all lies." None of Michael Ryan's claims have been proven in court. One of the Supreme Court justices disagreed with his colleagues, saying he would have ordered a new trial for Nicole Doucet Ryan. Justice Morris Fish noted Nicole Doucet Ryan's "uncontested evidence that [she] considered for seven months having her husband killed, paid a 'hit man' $25,000 to do the job and, when that failed, attempted twice more to arrange for her husband's demise." Nicole Doucet Ryan's lawyer, Joel Pink, said he has no doubt his client is telling the truth. "I'm sure he's going to deny all this, but the evidence is the evidence," Pink said in an interview. "The judge made a finding based on the evidence and that's what everybody should be looking at." Pink noted that Michael Ryan has a history of anger management issues, as cited by a 2002 psychiatric assessment, and landed in jail due to a bar fight. Ryan said he had a tough upbringing with anger issues as a young soldier and admits he got into some bar scuffles around the military base and got anger management counselling in the 1980s. Ryan said he is coming forward now in part because the court proceedings are over, and in part for their daughter. The 12-year-old lives with Ryan, his new wife and their 16-month-old son in Essa, Ont. Both Ryan and his wife work at CFB Borden. Ryan was granted sole custody of his daughter after psychological assessments were done on both parents and the verdict was not favourable to Nicole Doucet Ryan. "This psychologist is the only person that has investigated the whole situation between myself and Nicole," Michael Ryan said. "[She] basically reported that Nicole was exaggerating her concerns about me." Pink said he disagrees with that psychological assessment and that it was done based on incomplete information. The couple's daughter is happy in Ontario, has lots of friends, dotes on her baby brother and has been told that if she wants to contact her mother that can be arranged, Ryan said, showing photos of his smiling pre-teen. Nicole Doucet Ryan said last week that she hopes to re-establish contact with her daughter. Looking back, Michael Ryan says his relationship with his ex-wife was once a healthy one, until pressures involving her family drove them apart. Nicole Doucet Ryan has testified that Michael Ryan separated her from her family. He says it was the other way around. "Nicole knew I was leaving because of her family and her refusal to leave her family and her hometown, which I understood," he said. The separation was amicable at first with them living in separate properties that they owned, he says, until she asked one day if he ever thought about moving back in with her and he said no. He wanted a divorce. "That was the turnaround point when she realized it was over between us, there was no reconciliation and she immediately ran to the RCMP and made an allegation that I was stalking her," he said. Nicole Doucet Ryan testified that she called the RCMP on numerous occasions for help, saying Michael Ryan was stalking her, and that they offered no help. "What do you want us to do?" she testified they told her. "Calm down." 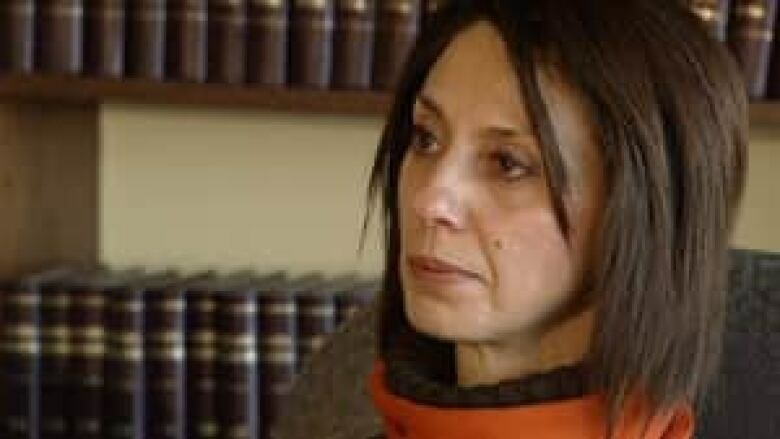 The Supreme Court excoriated the RCMP for what it called a "disquieting fact" that the RCMP chose to mount a sting operation to arrest Nicole Doucet Ryan — during that attempt to hire a hit man she actually spoke to an undercover officer — rather than respond to her husband's "reign of terror" over her. The RCMP said in a statement that it is looking at the court decision and Nicole Doucet Ryan's comments about contact with the police. "Mrs. Ryan has made a lot of claims about what we did and did not do and we're reviewing that," Sgt. Alain Leblanc said. Michael Ryan said the RCMP did contact him many times. When Nicole Doucet Ryan would call to say her husband was stalking her, the RCMP would find him in his living room, 200 kilometres away, he said. Her allegation about him threatening to burn the house down came only after she was getting nowhere with her stalking complaints, Michael Ryan said. Ryan, who has copies of most of the public court documentation in his ex-wife's case and has obtained other documents through access-to-information requests, said Nicole Doucet Ryan told the doctor who performed her post-arrest psychiatric evaluation that her husband never abused her. "She actually stated in there that she was thinking of having me killed back in September 2007 and the doctor had asked her about the conversation with the hit man, 'Why you wanted him killed before April 1st,' and she stated that she didn't want to look at me at the custody hearing." Nicole Doucet Ryan did not make the same allegations of abuse during the child custody proceedings, which happened in the middle of her criminal case, Ryan said. "All these tidbits of evidence really paint the picture that hasn't been painted or disclosed in the courts," he says, pointing at three boxes full of court files he has stacked on his rec room coffee table. "There's just so much evidence where she says I didn't abuse her."